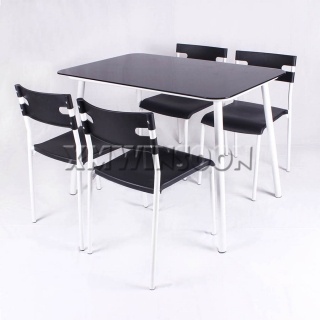 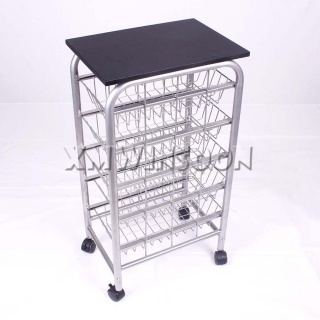 Table Master Carton Dimensions: W63.78"*D34.84"*H9.45" (W162*D88.5*H24cm), 1pc/ctn. 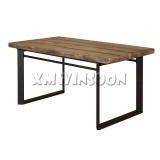 Benches Master Carton Dimensions: W63.78"*D21.06"*H11.81" (W162*D53.5*H30cm), 2pcs/ctn. This Dining Table And Bench Set are includes one rectangle table and two backless benches, The table top and benches top are made of magnesium oxide, a kind of great material for outdoor furniture which the peculiarity is weather resistant and virtually indestructible. The table has a big size imitation wood table top around W60”*D17.72” (W152.5cm*D81cm) and the imitation wood bench seat is backless that offering enough space for food or dish and ample comfortable seating in dining room, living room or backyard. 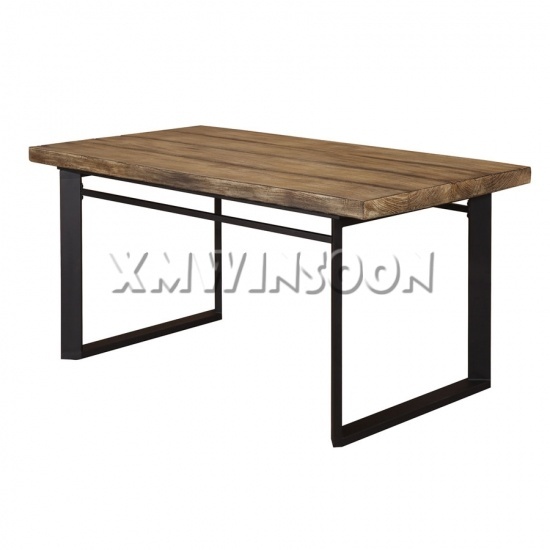 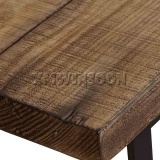 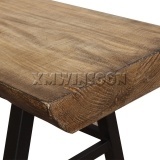 The Dining Table With Bench features a simple lines metal base with rough and rustic MGO top, you will love the look of this imitation wood and industrial-style iron Rectangle Dining Table With Bench! 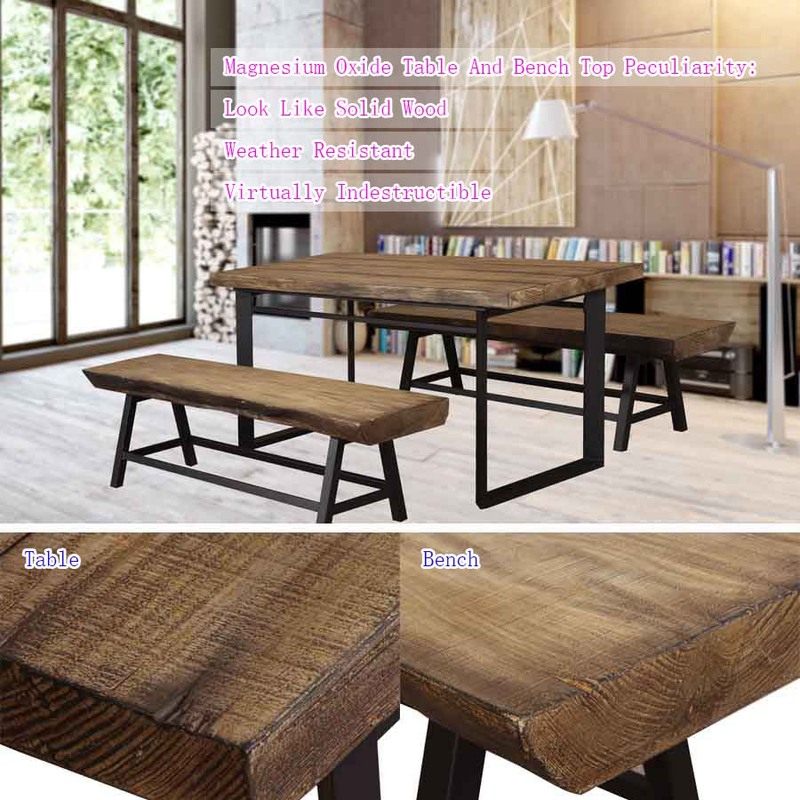 Add natural appeal in your home to creates a look casual and comfortable with this Magnesium Oxide Rectangle Dining Room Table With Bench Seat. 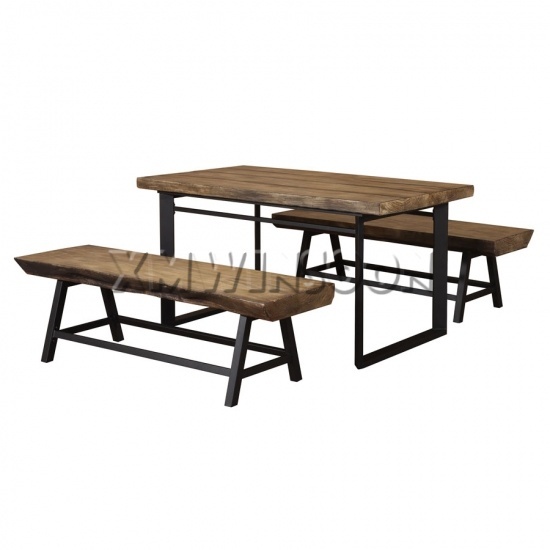 This Dining Room Set are the perfect addition to any indoor or outdoor space, such as dining room, living room, patio or garden. Versatile in design offering this table and bench set can be serve many different purposes in the years to come. 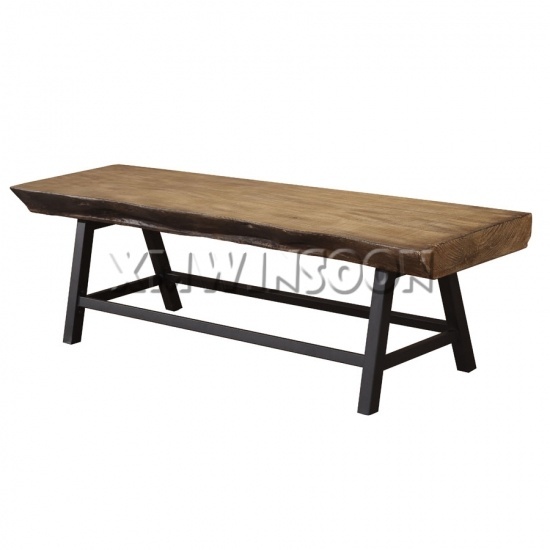 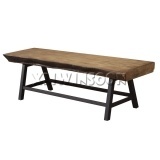 The sturdy and comfortable set is sure to add a sense of rustic and original to your home! 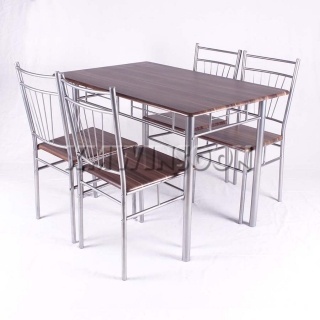 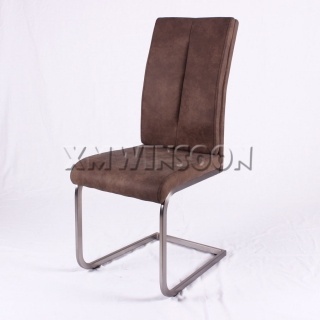 Enjoy conversation, relax or eat with your guests comfortably with this MGO Dining Set!